I guess that fact that a Dark Crystal sequel is in the works is actually old news. 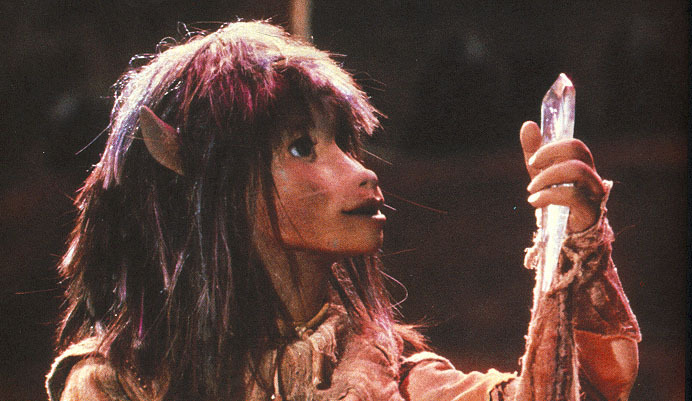 The Power of the Dark Crystal, the sequel to Jim Henson's 1982 masterpiece, is set to begin production this summer for a fall 2007 release (25 years after the original film). The film was back in the news last week after selection of a director who will update the film by integrating puppet characters into a CGI environment. The story was originally conceived by Jim Henson and is being produced by his children Brian and Lisa Henson. 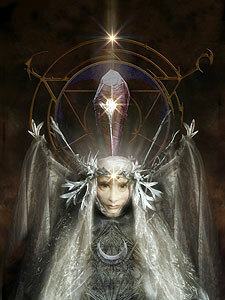 Brian Froud, conceptual designer for the original Dark Crystal and Labyrinth is also on board. Should be uber cool! Seems the Muppets are having a bit or a renaissance - and I'm not just talking about the Miss Piggy/Jessica Simpson Pizza Hut commerical - not only are the puppets everywhere, but The Jim Henson Company also plans to release a Fraggle Rock movie in 2007. I LOVE the Dark Crystal!!! !